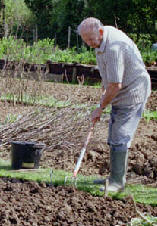 The Welfare Trust manages Leonard Stanley's allotments and is a charity administered by five Trustees. The Trust receives rent for three areas of land at Gypsy Lane - an agricultural tenancy, a grass keep and the 72 plots. The agricultural tenancy and grass keep are let to local farmers and allotments charged at £? per plot per annum and £? per ½ plot. Allotment rents are due on Lady day, 25th March. Money received by the Trust is distributed, on application, to college and university students from the village in their first year. 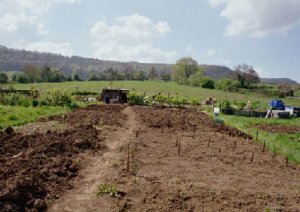 If you know of an abandoned allotment, or are thinking of giving up your allotment, please let the Welfare Trust know as there is a waiting list. For more information contact Ann Connett on 826219. The Welfare Trust during 2016 has been able to continue to let all the land it has in trust, all the non allotment fields are let on a 11 month grass keep agreements. and we now have 107 plots all with the exception of 5 are occupied by 79 allotment holders, and there is no waiting list. The trustees like last year had to employ a tree surgeon to remove another tree and that reduced our surplus funds however we were aiming to sell the timber and recover some of the costs but someone had other ideas and decided their needs were greater than ours and took the usable firewood and left behind the large bits that they were unable to lift. The trust was able to make various grants in 2016 totalling £600 for 3 youngsters entering tertiary education, and in addition a further £600 shared between the PCC, VHMC and Toddlers to assist in the spiritual and social needs of the Village.